Big Finish have announced the return of Tracy-Ann Oberman as Yvonne Hartman in Torchwood: One Rule, the fourth release in its new series of Torchwood audio plays. 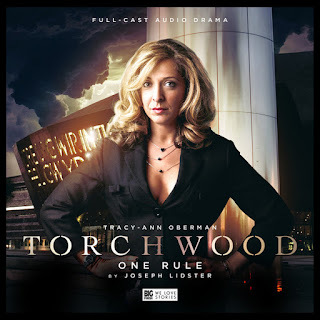 Oberman first appeared as Yvonne in the 2006 Doctor Who episode Army of Ghosts written by Torchwood creator Russell T Davies. The ruthless head of London's Torchwood One, her universe-threatening schemes placed her at odds with the Tenth Doctor (David Tennant).